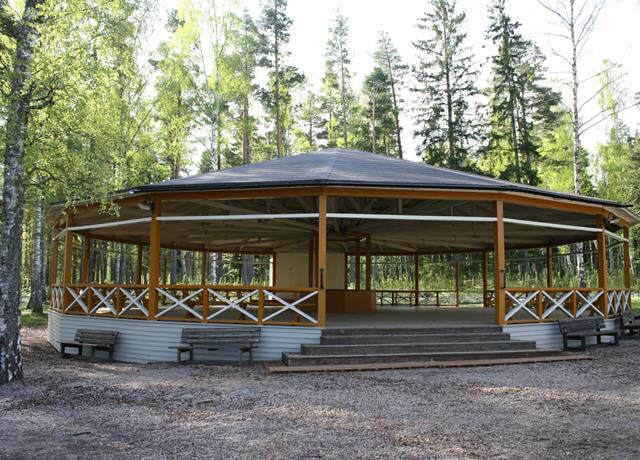 This documents my involve in a project by composer/performer Christian Fernqvist, inviting different musicians to participate in making work for specific sites at Gamla Linköping, an open-air history museum in Sweden, to be performed in August 2018. I selected two 19th Century sites to work with, which can be seen below. The project necessitated working remotely without visiting the site, & so my piece developed into a series of provisional instructions that musicians & members of the public might then use to create an event at either site. 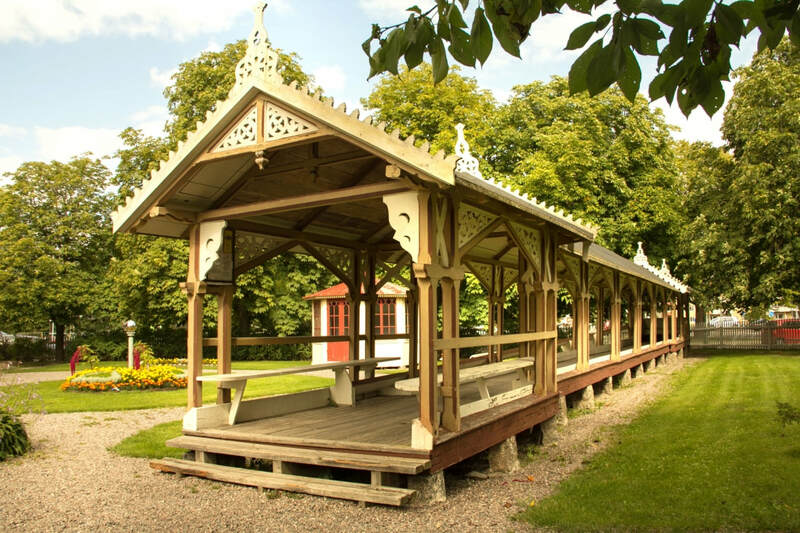 ​Originally a private skittles alley, this was moved into Gamla Linking & is still used for playing Swedish skittles today. My piece for this site used the shape of the skittles layout & rules for playing the game to create the score. Dance floors were built in many places around Sweden, often linked to garrisons for military regiments. They were, & still are, used for social dances. The open frame could be sealed off with panels when the floor was unused or in bad weather.